UK airports are at the vanguard of using cloud to develop innovative services, says Gatwick CIO. UK airports are at the vanguard of moves to replace outdated IT systems with innovative cloud computing services that promise to make air travel easier for passengers, it was claimed this week. Competition in the UK is encouraging a wave of investment, as airports turn to technology to cut cue times, simplify bag drops and provide passengers with up-to-the-minute flight information, said Gatwick’s chief information officer, Michael Ibbitson. 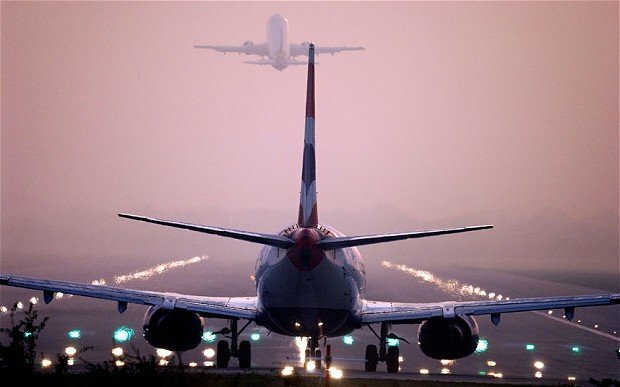 The UK's big four airports – Manchester, Stansted, Heathrow and Gatwick – are leading the way in a worldwide move to cloud services, Ibbitson said in an interview with Computer Weekly. European airports have also made significant progress in cloud computing, with Copenhagen and Zurich among the most technically advanced. But progress towards the cloud is slower in the rest of the world, particularly in the Middle East and Asia, which take a more cautious approach to cloud computing, said John Jarrell, head of airport IT at technology specialist Amadeus. Jarrell was speaking as Amadeus published a study based on interviews with 20 senior airport IT leaders about the potential for cloud technology. The biggest benefits of cloud computing will come not from initiatives at individual airports, but from the interaction of airlines and airports using cloud services worldwide, said Ibbitson. For example, cloud-based collaborative decision-making systems will be extended to allow airports around the world to seamlessly share information on flight departures and arrivals, he said. The idea is that an aircraft will not depart until there is a landing slot available at its destination airport, said Ibbitson. Rather than each airline having to build networks to connect with each airport's systems individually, they will need to interact with far fewer, he said. Some airlines are cautious about sharing passenger data with airports, and that is slowing progress to cloud computing. “There is always concern about who owns the relationship with the passenger,” said Ibbitson. However, Gatwick has made an early move to break this impasse by agreeing to supply its airline partners with data feeds that will give passengers accurate information about their flights. This is the first time an airport has taken such a step, said Ibbitson. “The idea is that the passenger gets comfortable and is sitting at a restaurant in our airport, happily eating a meal, knowing that their smartphone will buzz when the gate is open,” he said. Amadeus’s Jarrell predicts that by 2020, 80% of airports will be moving to cloud services. But Ibbitson advises other airport CIOs to experiment with the cloud's potential. Gatwick, one of the pioneering airports in cloud computing, has embarked on a programme to release funds for innovation by replacing as many of its expensive legacy IT systems with cloud services as possible. With Amadeus, Gatwick has developed a collaborative decision system that will allow the airport, ground handlers and airlines to exchange data on incoming and departing flights. The system, which goes live later this month, will allow the airport to refuel and restock aircraft far more rapidly, enabling the airport to increase the number of flights departing each hour by 10%. Gatwick is also using cloud technology to develop kiosks that will cut the time passengers spend dropping off a bag to just 45 seconds. The kiosks will take information from boarding passes on the passenger’s mobile phone, so passengers do not have to type in their flight details. Also, a collaboration with the website Skyscape could eventually allow passengers to book multiple connecting flights and train tickets on a single ticket from Gatwick. Madeira airport has turned to cloud computing to provide advanced passenger information services. The airport has rolled out kiosks and help points to provide passengers with information as they travel through the airport. There are also large video screens that give details of flight arrival and departure times, and information about local events. Madeira airport has replaced 45 servers on-site with eight in the cloud, reducing its IT energy consumption by 85%. It has also been able to reduce the cost of its IT operations by at least by half, Thales claims. “By having less physical equipment, you need less space, less energy and less people to operate it,” said Jesus. The next step is replace the airport’s PCs with virtual desktops that will link directly to applications in the cloud. The project will reduce energy and maintenance costs further, because fewer maintenance engineers will be needed, with fewer PCs. Thales hopes to offer similar cloud services to other airports in Portugal, but it concedes that not every airport is yet convinced of the cloud's merits. In the UK, Heathrow has spent more than £200m on the IT and network infrastructure for Terminal 2, which opened for passengers this week. The terminal features automatic baggage drops and check-ins, boarding passes delivered to passengers' mobile phones, free Wi-Fi for passengers, and CCTV systems that will automatically scan for queues. The airport is also investing heavily a project called Real-Time Heathrow, which aims to link stakeholders – such as the airlines, the UK Border Agency and air traffic control – so they can respond more quickly to ensure the right resources are in situ when a plane lands.